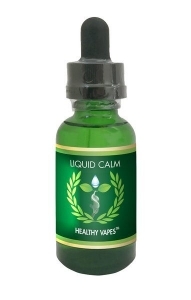 All Healthy Vapes eliquid is formulated by certified master herbalist and holistic health practitioner. They are produced in USA facility with over 25 years of experience in formulating, blending and filling of liquids. The eliquids we produce are based on medical grade essential aromatherapy oils and natural herbal extracts formulations that deliver multitude of benefits and are free from nicotine, diacetyl, acetyl propionyl, acetoin, artificial preservatives and colors. We source superior quality, certified ingredients made in the USA. Our company offers ready-to sell eliquid to distributors, physical shop owners and retail customers. You should not use the information on this site for diagnosis or treatment of any health problems or for prescription of any medication or other treatment. You should consult with a healthcare professional before starting any diet, exercise or supplementation program, before taking any medication, or if you have or suspect you might have a health problem.